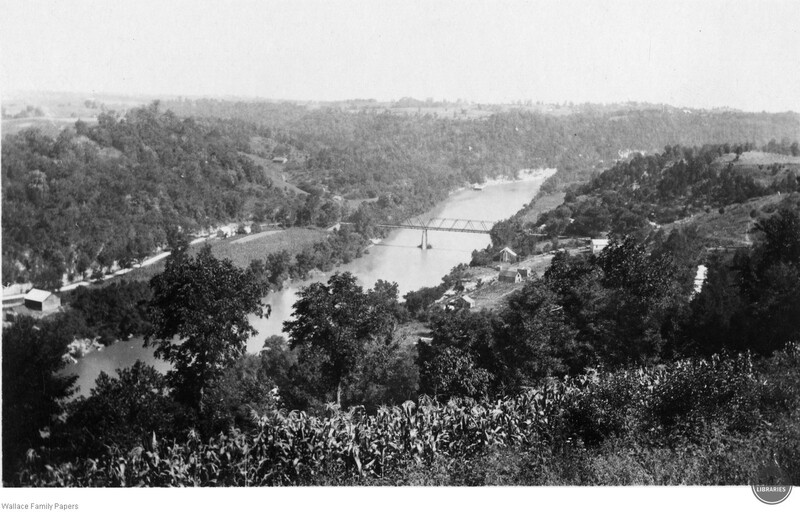 Old Richmond Road looking down at Clays Ferry Bridge from Madison County side, Fayette County on left side of river. Taken prior to 1946. “Clays Ferry Bridge,” Digital Collections, accessed April 19, 2019, https://digitalcollections.eku.edu/items/show/28345.